When adding an event registration from the event dashboard as the administrator, you can now have it auto fill with the member’s information. Simply type in a partial or full name and then hit tab. 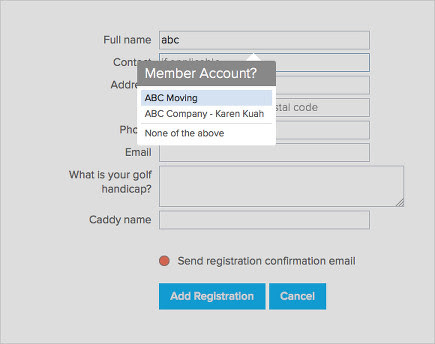 You can then select from member accounts matching that name to fill in the member’s information for you.